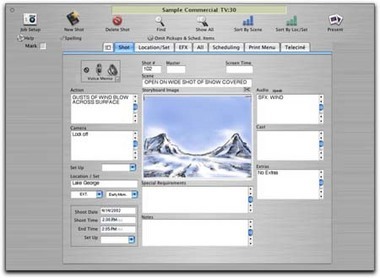 This file contains sample data for easy import into any Directors NoteBook Software product including Demo versions (except Directors Boards Free which is not compatible). 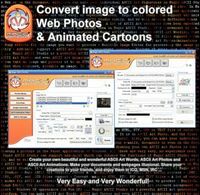 This is very useful for demo users as well as licensed Directors NoteBook Pro users who wish to test any file customization they may have done. 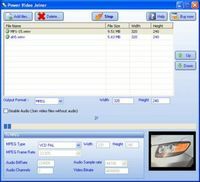 Directors NoteBook software products are digital " project notebooks" for television commercial director&apos; s, crew and amateur film makers who want to prepare their projects like the pros. It organizes all the information a director needs access to during pre-production, production, and post. From imported storyboard images, efx plate images, location and set photos, casting specs, to all shot specific details like; action, camera directions, lenses and frame rates, screen time, blocking, script, etc. As well as agency and client contact info. Telecin? instructions and much more.